Finding a startup to work for is easy. Finding a founder whose vision you believe in isn’t. I’m sitting next to a founder whose vision I have admired over the past year. It couldn’t get any louder in this downtown Starbucks in Singapore, but noise is probably the last thing on both of our minds. We are here to talk about some bad news. He just got kicked out of the startup he founded two years ago. He had no idea that behind the scenes, his investors and co-founders had been working on a shocking plan. “I don’t want to work with you ever again,” one of the investors told him, as the two other co-founders watched in silence from the corner of the table. Not only was he forced to step down from his role as CEO; he was left with no choice but to give up the few shares he had left in a startup he had founded in the first place. 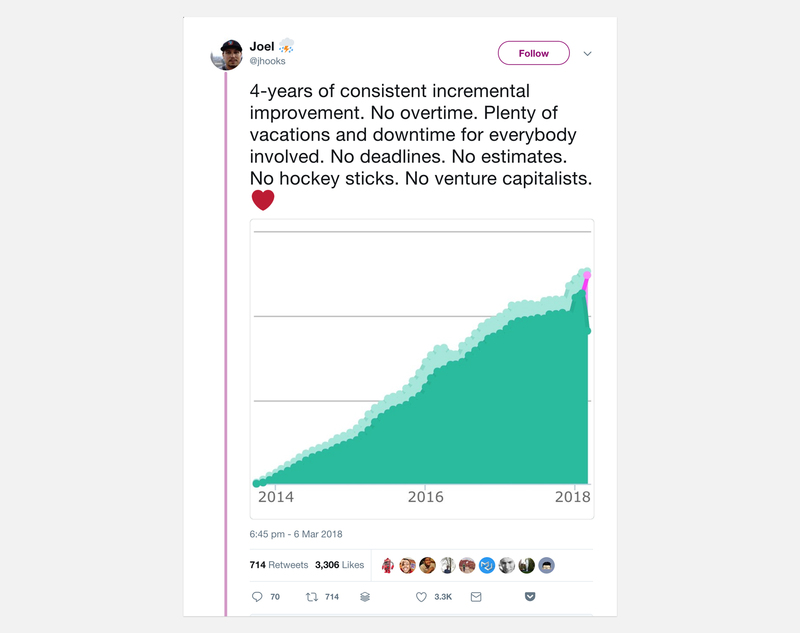 Over the last months, his dream to build a product customers love had gradually turned into building what investors wanted. And these investors now wanted him out, too. Investors aren’t evil. After all, most of them are genuinely interested in putting, not just money, but value into their investments. But they aren’t the only way to build your startup empire. There’s an alternative path being carved out by a growing breed of founders; or, as they’re collectively known, ‘bootstrappers’. These are entrepreneurs who build their ventures with little to no outside funding. An increasing number of bootstrappers have recently started to speak up and share their journeys. But their voices often aren’t as loud as those who spend a fortune on PR agencies to announce their VC-million funding rounds. Bootstrappers couldn’t care less about making it to the top of TechCrunch; nor do they bother to build a personal brand on Snapchat or Instagram. You won’t see them preparing investment decks when their teams need them the most. They are interested in real customers, who reward them with their dollars. – Analytics & SEO? Ahrefs’ crawler is second only to Google’s. – Email Marketing? MailChimp has over 14 million customers. – Data collection? JotForm has 3.2 million users and +100 employees. – Productivity? Todoist is the market leader. – Project Management? Basecamp has offices in over 30 cities around the world. Their self-funded journeys aren’t glamorous. They’re not dramatic. Most tech publications aren’t going to risk their CTRs to talk about it. However, many bootstrapped startups have more customers and profits than their VC-backed rivals. They often build their empires in silence, with more concern for how their products run than showing them off. Of course, not every startup can be bootstrapped; business is never one-size-fits-all. Small is the new big. And I’m about to tell you why. The bootstrapper’s skepticism about conventional startup “wisdom” starts at square one. 2. Next, quit your job. 3. Now, hustle 80 hours a week. Even I followed this model, quitting a fancy corporate hell to pursue a dream, one that was yet to even be fully realized at the time. Quitting your job before you’ve clearly solved a problem will only add pressure to your 80-hour work weeks as you watch your cash go down the drain, shortly followed by your sanity. Instead, most bootstrappers start their business as a side project, while also working in full-time roles in the background. Only when their side project becomes a viable source of long-term income do they quit and go all-in. 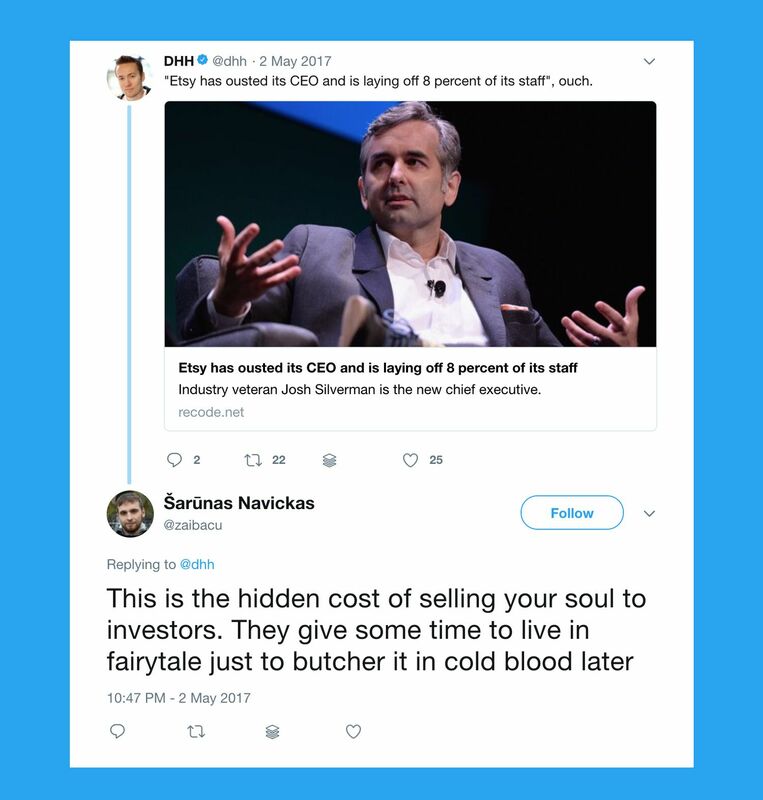 – Long before quitting his day job, Ahrefs’ founder Dmitry Gerasimenko started by exploring a bunch of projects on the side. – While he continued to work full-time as a developer back in 2006, he used his salary to hire other developers to help with those side projects. 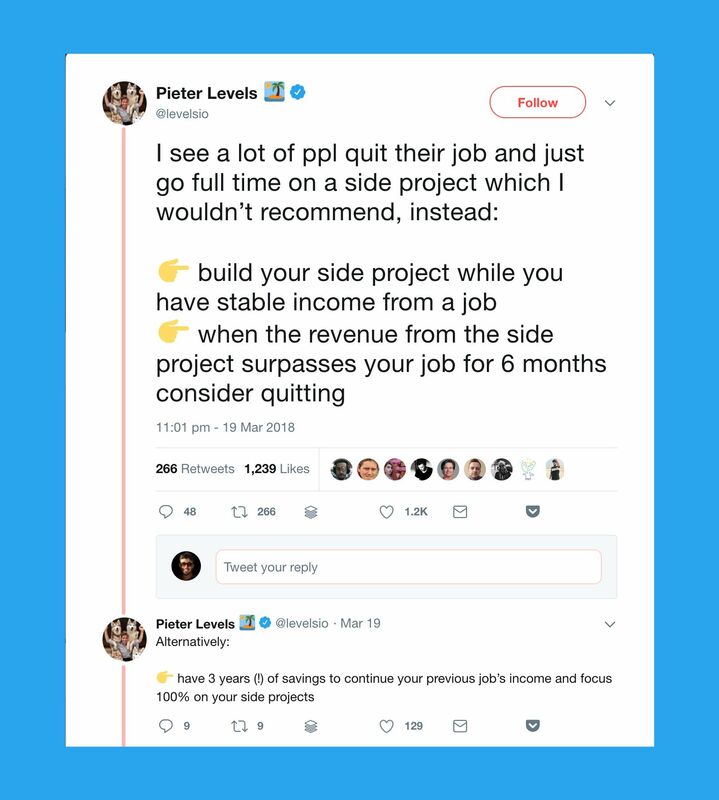 – Only when these side gigs started making more money than his full-time income did, he quit his job to figure out which one had the most potential. – After four years of playing with various side projects, the most successful of the bunch turned into a leading analytical platform: the Ahrefs that we know today, which would bring him neck-to-neck with Google. Aytekin Tank didn’t let a full-time job stop him from building a product that 3.2 million people use. This means bootstrappers’ customers aren’t just jumping on the latest craze before abandoning it for the next; they’re in it for the long haul. Most investors love that approach, too. They want to recoup their money ASAP, so they pressure startups to achieve exponential growth. Fast hires and hockey-stick graphs look good on paper. It also means growing the top line (revenue) first and figuring out that sticky profit issue later. Bootstrappers? They figure out the profit first. Without investor cash raining down, profit is their only goal. Focusing on profits, however, creates freedom. Freedom doesn’t come only when you finally make that exit and sell your startup. Spend less than you earn, and you can grow at your own pace — without burning out. Choosing freedom over the 80-hour hustle explains how Ahref’s Dmitry can take a week off for family time even during busy periods. Other bootstrappers follow the same principles of leading a sane life; it’s not a surprise to see Todoist founder Amir hanging out in the park with his little boy or JotForm’s Aytekin picking olives with his parents. “I know that spending quality time with my family won’t land me at the top of TechCrunch, but it’s a personal measure of success. I’ve grown my business slowly and spent 12 years building a stable business that can function without me.”— Aytekin Tank. That’s a 97.5% retention rate over 5 years. FOMO is real, but it’s not a great strategy. Bootstrappers are proof that Silicon Valley isn’t the only place to found a startup kingdom. Dmitry has been building his Ahrefs empire in Singapore, Jotform in Turkey, Todoist in Spain, MailChimp in Atlanta, Basecamp in Chicago — not to mention their remote teams spread across the globe. You can build anything from anywhere. Unlike 80-hour hustle fans, self-funders are also big advocates of doing work when at work. It is no surpise they don’t offer ping pong tables or a fridge full of beer so their employees can stay in the office forever. They do offer sane hours, however. And instead of hiring and firing fast, these self-funders hire slowly, grow slowly. Feeling responsible for those you hire is a synonym for integrity and the headcount is often a vanity metric — one which bootstrappers don’t have the luxury of subscribing to. “Optimize on output, don’t optimize on the number of people you hire,” notes Todoist’s Amir, who is proud to report that only one employee has ever left the company voluntarily. It took 7 years for Ahrefs to build an empire in the extremely competitive SEO space. They built their product in silence as their competitors raised one million-dollar round after another. JotForm didn’t go from zero to 3.2 million users overnight. It required 12 years of perseverance. Their competitor Typeform recently closed $35 million in another round of funding. JotForm closed zero. Playing the long game pays off, though. JotForm’s Aytekin recently shared how focusing on the customer, not the competition, brought them one million new signups in a single year. Every startup wants to become a household name. But not all of them are willing to put the work in every single day for a decade. Bootstrappers are obsessed with building a product customers love. Not competitors. Never investors. A fat bank account isn’t a recipe for success. Bootstrapping your growth is good for business. It helps you unlock potential you didn’t even know you had. It forces you to focus on building something that’s worth paying for instead of wasting resources trying to hit the top of TechCrunch. After all, you have to sink or swim. Without investors looking over your shoulders, there are fewer distractions. Fewer distractions mean more time to focus on the reason you started a company in the first place: your product. Slow growth is the new hockey stick. It’s sustainable. It’s smart. And it can help you stay sane in the face of changing markets, technology, and customer needs. Bootstrappers are proof that tiny teams can play in the big leagues. They encourage us to take our time, scale at our own pace, and do it right. When budgets are tight, you learn the value of every dollar by keeping an eye on profit. And profit means freedom. Join +52,134 people to get an article like this once a month. Subscribe to get my essays on how to grow a startup in the most cluttered marketplace in history. No spam and one-click unsubscribe. Ali is the founder of Growth Supply, a storytelling studio that grows tech startups through words. He owns The Startup, Medium's largest publication for entrepreneurs. He also teaches growth on his online course 0 to 1M Visitor.